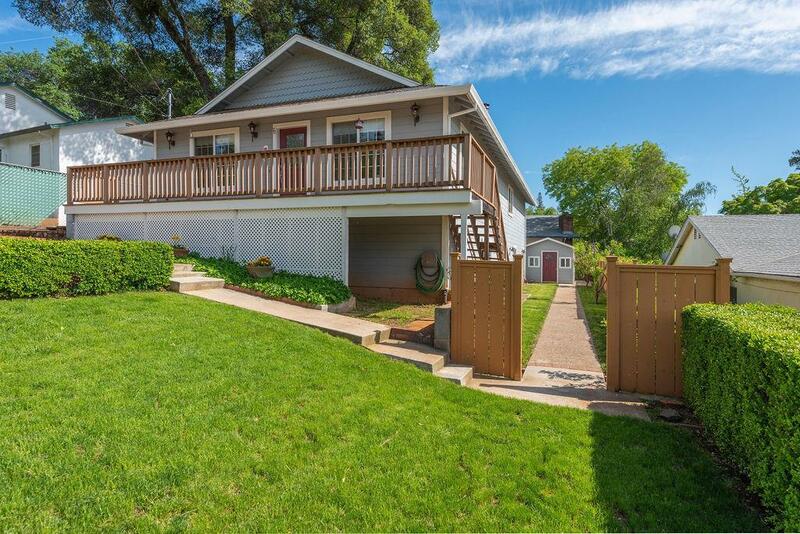 Great location only a few blocks from Historic Downtown Sutter Creek. This 4 bedroom/3 bathroom home is on a level and large lot so you will have plenty of room for outdoor gatherings. Downstairs is permitted and finished with 654 sf including a large bonus room, bedroom and a fabulous bathroom plus exterior access that could be an income property. Best of all the main floor has everything you need including 3 bedrooms/2 full bathrooms and a laundry room. Master bathroom features a brick facade on the jetted tub plus a shower. Carpets have been re-done and new ceiling fans throughout the home. The back features a fenced yard with a storage room and a shed. Close to downtown Jackson and Amador City/Drytown plus all the local vineyards in Shenandoah Valley but just a hop, skip and jump to Sacramento, Placerville, Tahoe and Kirkwood Ski Resort.